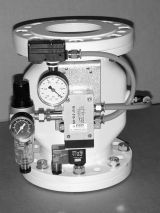 AKO UK Ltd bought out Paladon PV in February 2000 due to its excellent reputation with over 20 years of selling the Pinch Valve. We hold good stocks of the Pinch Valve, other products and spares and when necessary can get two-day deliveries from Germany. Welcome to the AKO UK website. 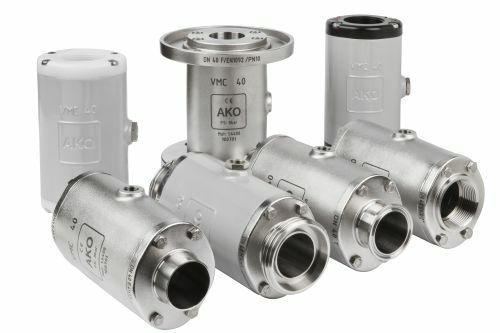 The site provides comprehensive information on Pinch Valves, Air Operated/Pneumatic and Hand Operated/Manual Valves for the industrial sector.AKO UK is a British company that stocks and sells pneumatic Pinch Valves, Pressure Relief Valves, Hand Operated Pinch Valves and Aeration products. We also distribute various other valves of which information is provided on our web site.The advent of a wider product range gives AKO UK Ltd the opportunity to offer British industry more solutions to the controlled movement of bulk materials and liquids. We promise our customers reliable Pinch Valves and products at competitive prices, with the best service and support possible. 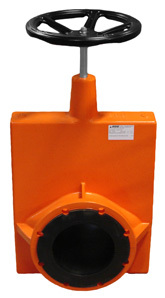 AKO UK Ltd bought out Paladon PV in February 2000 due to its excellent reputation with over 20 years of selling the Pinch Valve. We hold good stocks of the Pinch Valve, other products and spares and when necessary can get two-day deliveries from Germany. 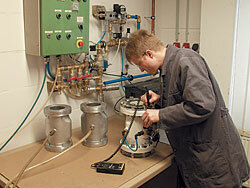 We continue to service our existing customers while slowly introducing a range of associated products. Our customers are based all over the UK and include various sized companies from small businesses to large 'blue chip' organisations. We sell competitive priced, reliable products and offer a fast, dependable delivery service along with full sales and after-sales support.We always have and always will continue to be focused on customer service. AKO UK Ltd is proud to be small enough to care and big enough to compete. Extremely compact with various connection options. The flexible modular system for solvable and aseptic piping connections! 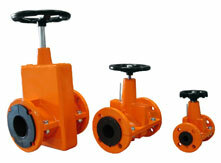 The compact valve solution for the automatic shut off. 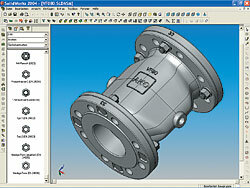 10mm - 50mm Socket Type VM/VMF 40mm - 200mm Flanged Type V/VF Pinch Valve Body 10mm - 50mm PVC 15mm - 200mm Aluminum 10mm - 100mm Stainless Steel Connections 10mm - 50mm Screwed Internal BSP 40mm - 200mm Flanged PN10/16 (ANSI flanges also available) Sleeve Materials Natural Rubber (standard) & Nitrile (for small percentages of oil) are the most commonly used sleeves (other materials on request) Accessories Foot Pump (to inflate the PRV) Pressure switch (2 switches inside a single housing to give working indication) AdvantagesPressure Relief for pumps, water, liquid, sewage/sludge and food industry Proved reliability in the industry for over 10 years with 1000 plus applications in the UK Clear and true bore - no blockages No mechanical parts to get clogged or blocked Easy and low cost maintenance Single body casting When the valve is set (using footpump) to the required pressure, the air supply is no longer needed - perfect for remote areas The Valve resets itself when a blockage is cleared No need to strip down the valve after it has relieved No need to reset after pump starts ups or pressure surges All Valves fully tested with unique tracking number - 100% leak tight seal Full technical backup and valve maintenance in house or on site Please download the available PRV datasheet for more information.